The Zetas and Sigmas at Valdosta State University go HARD! 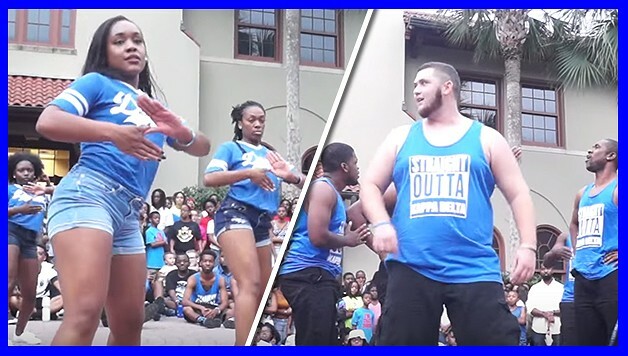 We just received video of the two yard shows that Phi Beta Sigma’s Kappa Delta Chapter and Zeta Phi Beta’s Alpha Theta Chapter breaking it down at their school’s recent Yardshow. Shout out to Isaiah Smart for shooting and editing this! Show these brothers and sisters some support and love in the comment section below!